As soon as we drove into Tarangire National Park, we saw hundreds of zebras and wildebeests. 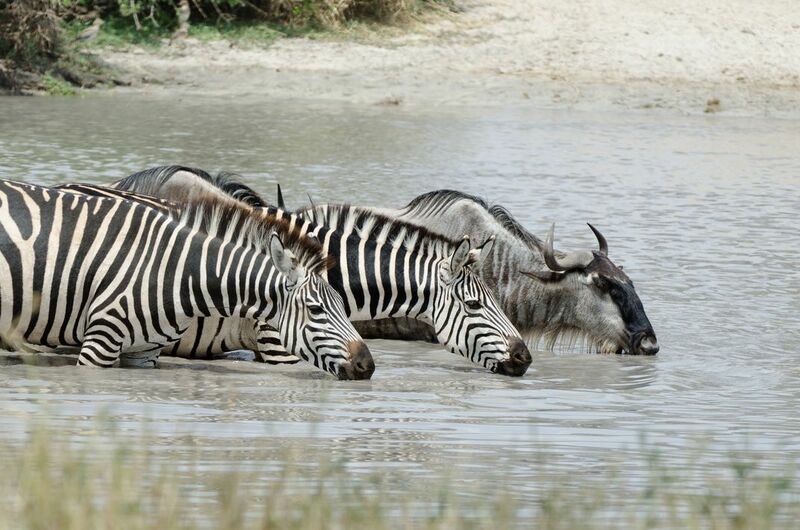 The juxtaposition of a wildebeest drinking next to two zebras made for an interesting composition. Date Uploaded: Oct. 18, 2014, 9:58 p.m.